The present numerical analysis deals with the effect due to change in profile of truck-trailer on aerodynamic drag and its repercussion on fuel consumption. This numerical analysis is done by using CFD software i.e. 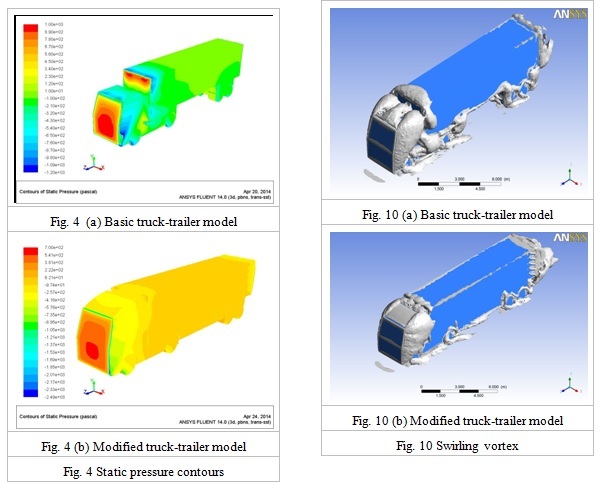 ANSYS fluent, with Shear tress transportation (SST) turbulence model on both unmodified and then modified profile of truck-trailer. The comparison has been done with respect to coefficient of drag, coefficient of lift, pressure contours, velocity streamlines and vectors between unmodified and modified profile. 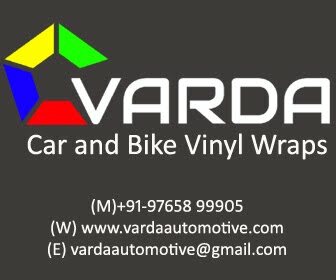 The profile modification has been done on basic truck-trailer model by providing wind deflector on truck’s cabin, vortex trap, mini skirt, vortex strake and aerodynamic revolute. It has been analyzed that, due to profile modification the reduction in aerodynamic drag is up to 21 %, which reduces the fuel consumption by 4 liters for 100 km for diesel powered truck. The analysis of modified truck-trailer profile with external rear view mirror also has been done, due to the external rear view mirror the coefficient of drag is increase by 3.23%. Keywords: Aerodynamics, Truck-trailer, CFD, Fuel consumption, Rear view mirror, Aerodynamic drag, ANSYS FLUENT.